I have worked in the beauty and wedding industry for 28+ years, firstly I studied anatomy, physiology and psychology then completed training in beauty therapy level 1,2,3,4 and make up artistry , photographics, stage, theatre & studio then moving onto hair design and semi permanent make up. 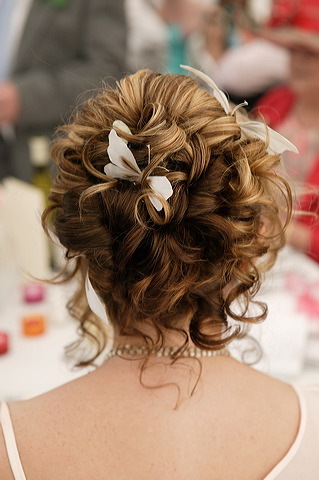 I ran a beauty salon within a hairdressers for 15 years before deciding to go freelance and specialize in hair design and make up artistry helping brides look beautiful for their wedding day. I do not have any fancy training or degrees in hair and make up but I do have 28 years experience helping brides on their wedding day. I am fully qualified - IHBC, ITEC trained. Salon gold pro insured. I also have worked in studios for fashion shoots on catwalk and session studio work.The rest is many years of experience with brides and different seasons of styles, catwalk and red carpet styles. Alongside this I have run my own beauty therapy and spray tan business. I hold PRO memberships with Bobbi Brown PRO, MAC PRO, Charlotte Tilbury PRO, Illamasque PRO and regularly attend new trend update training.he make up is long lasting, it will last from morning to bedtime, requiring very little touch up, mascara is waterproof (i have tested it!) . The kind of make up I like to achieve for my brides is very elegant, soft and classic, I like to enhance and bring out your own features, for example enhance your eyes either soft or smokey, soften and smooth skin which will give almost a soft dewy, pretty look, a more polished version of yourself that will still look like you! Contouring is very good for this look and very popular at the moment! It also works great with photography without having to apply heavy foundations. I am always available to talk through your requirements and answer any questions you may have. Please feel free to give me a call or drop me a text/email. Trials - these are done in my beauty room in maidstone. It is very important for you (the bride) to have a trial so we know exactly what we are doing on the wedding day. Bridesmaids do not need to have a trial but I will need to discuss requirements for them. Time goes very quickly on a wedding morning so I like to make a time schedule for your wedding morning so everyone is done comfortably and calmly! All of the hair and make up on this site has been done by myself, some of the photos were taken by myself, some are from brides who very kindly sent photos to me and others are by photographers i have worked with. There are some editorial/studio shots aswel. There are over 500 photos which should give you a good idea of the work i do! I run a professional tight ship! a friendly service and am extremely discreet when i have to be! Or complete the contact form on the contact page.